With its dense evergreen foliage, boxwood is known for creating perfect hedgerows. However, the value of this gem is while ideal for borders, it also holds the potential to become a focal point of your home or landscape. Trimming boxwood into shapes, such as cones or globes, creates an eye-catching aesthetic that invites interest to an entryway or creates a perfect pathway guide. These designs can be easily accomplished, yet add a unique flair enhancing both rustic and modern settings. No matter the shape, ensure the shrub is slightly larger at the base. This is vital for the plant’s health, as it will allow for sunlight to reach the lower branches, keeping the plant well nourished from the bottom up. Start at the top and work down and away from the body, trimming gently and shallowly. If there is a mistake, more can always be cut, but it will take months for the plant to grow back. Pick a direction (clockwise, counter-clockwise) and stay on that course. Steadily move around the shrub, keeping the shears parallel to the foliage, establishing an even plane. Make cuts early in the season when the plant sees less sunlight. Too much harsh sunlight right after the trim can cause the freshly cut parts of the plant to wilt. 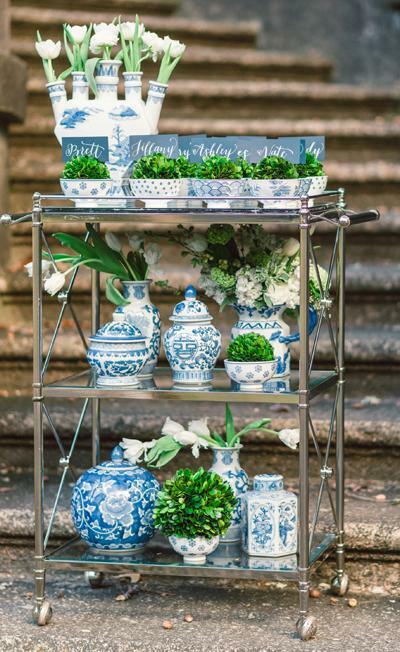 Garden Debut™ boxwood foliage also makes for elegant home décor. Preserved or fresh trimmings can be used as garland in the wintertime, to make wreaths, or incorporated as baby or wedding shower decoration. 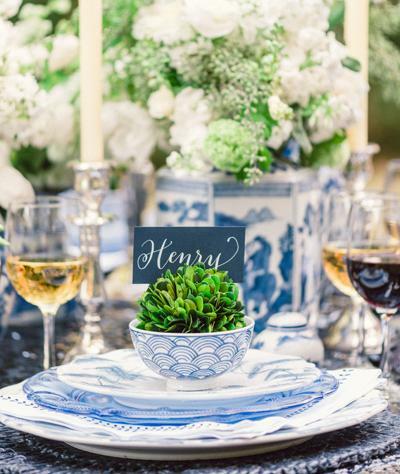 For example, sticking boxwood twigs into craft store Styrofoam domes creates a festive place setting. Place the domes in the bottom of a small teacup or bowl, and style the boxwood trimmings densely and evenly across the top of the dome. 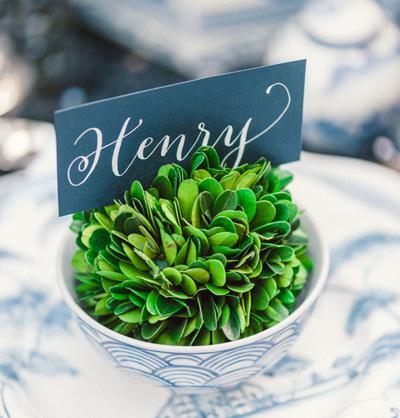 Place cards can then be nestled into the foliage, making a charming tablescape. 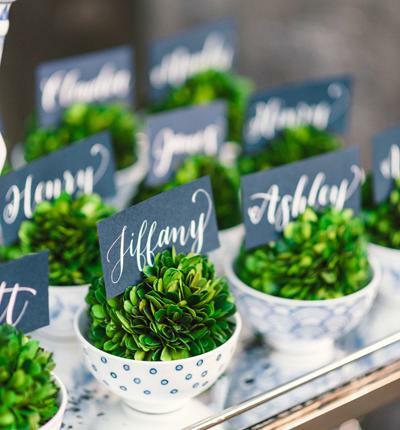 A few boxwood sprigs can also be used as green garnish for gift-wrapping, or to add depth to a flower arrangement or bouquet. The possibilities are endless when creativity is allowed to blossom!